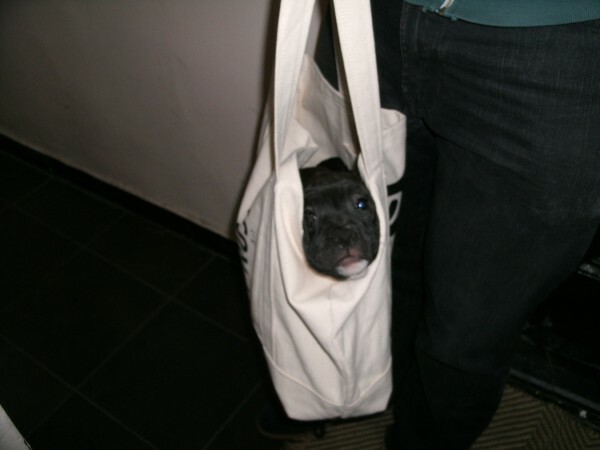 Now that's a shopping bag I wouldn't mind hauling around. Until it started wriggling. He's just 3 months old. His name is Avon and he belongs to my next-door neighbor. I'm smitten. That's cool he's right next door so you can get your puppy-breath fix. And what a great name! I'd be smitten, too! Great photo. He's got the sweetest personality. Loves to have his little round belly rubbed.